The EFCA coordinates the implementation of the SCIP for pelagic fisheries in western waters of the north-east Atlantic and North Sea. The SCIP was established in 2012, and according changes introduced in 2015 is applicable to herring, mackerel, horse mackerel, anchovy, blue whiting, boarfish, argentine, sprat and sardine in EU waters of ICES sub-areas V, VI, VII, VII and IX, and EU waters of CECAF 34.1.11 referred to as ‘western waters’ and mackerel and herring in EU waters of ICES division IVa, referred to as 'Northern North Sea'. The encompassing objective of EFCA assistance to the Member State concerned is to ensure the uniform and effective implementation of the conservation and control measures applicable to stocks of anchovy, herring, mackerel, horse mackerel and blue whiting in the western waters SCIP area. 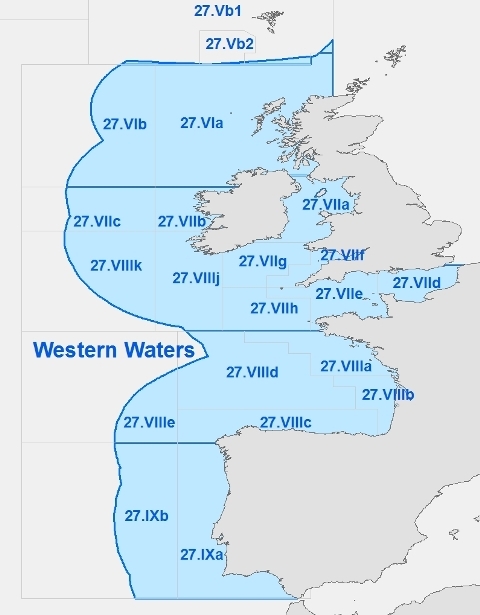 In order to meet the objective of the uniform and effective application of conservation and control measures rules in the western waters and North Sea SCIP area, the EFCA provided, in collaboration with the Member State concerned, a specific organisational framework for operational coordination of control activities in this area, known as a joint deployment plan (JDP). The western waters JDP (WW JDP) has been operating since 2012 with the participation of Denmark, Estonia, France, Germany, Ireland, Latvia, Lithuania, the Netherlands, Poland, Portugal, Spain and the United Kingdom, which collaborate in the implementation of these conservation and control measures through the system of joint campaigns based on permanent year-round control and inspection activities. Joint campaigns are planned, implemented and assessed each year in close cooperation between the Member State concerned and the EFCA at the regional level, to ensure achievement of the compliance with the conservation and control measures in force. With regards to the uniform and effective implementation of control and inspection activities, consensus is sought at the meetings of the western waters steering group for strategic decisions and through the collaboration of technical joint deployment groups and coordination centres in the Member State concerned for operational arrangements. The work of inspectors seconded to mixed and joint inspection teams, ashore and at sea respectively, brings the most tangible evidence of this uniform and effective implementation of control and inspection activities. Furthermore, the EFCA pays special attention to the establishment and application of best practices in all aspects of joint control operations. To this end, the EFCA works closely with the Member State concerned in various experts’ groups, seminars for staff of fishery monitoring centres and workshops for inspectors. An additional level of assistance is provided by EFCA coordinators on their missions to the Member State concerned. The WW JDP organisational arrangements guarantee the high level of transparency, uniformity and effectiveness of control operations through the establishment of permanent exchange of operational information, the application of risk management strategy at regional levels and close cooperation of the Member State concerned in the enforcement of conservation and control measures.